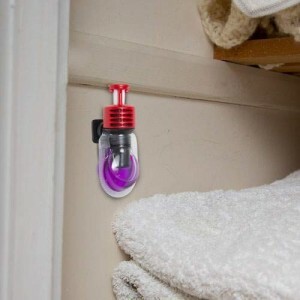 If you think you have Moths in your airing cupboard you’ll be pleased to hear about this new and unique Clothes Moth Killer specifically designed for use in your Airing Cupboard. The signs of moths in airing cupboards to look for are small holes in woolens and silks in particular, but also look for small white furry patches, this is the larvae about to hatch. Go through your airing cupboard checking sheets and woolen blankets, especially if you keep your linens in the airing cupboard. This Moth Deterrent product will kill Moths, their Eggs and Larvae. The Lavender fragrance also has the added benefit of freshening your airing cupboard. Ideal for protection of all Clothing and Bedding, including Woolens, Cashmere, Linens, Leathers & Silks airing in the airing cupboard. Moths thrive in dark, warm & humid conditions. The Acana Airing Cupboard Moth Killer provides effective protection for your valuable garments and blankets etc. The specially formulated liquid format has been created for specific use in low airflow – extended temperatures. Lasts up to 3 months and features a visual end of life indication.